Chrichton's World: Review Magnificent Butcher a.k.a. Lin Shi Rong (1979): Old school Yuen Woo-Ping Kung Fu flick featuring Sammo Hung. Review Magnificent Butcher a.k.a. Lin Shi Rong (1979): Old school Yuen Woo-Ping Kung Fu flick featuring Sammo Hung. A Sammo Hung and Yuen Woo-Ping collaboration? It does not happen too often that two Kung Fu masters of this magnitude work together so naturally I had been curious about it and wanted to watch it for a long time. Don't know really why it took me so long to finally do it but I am happy that I did. 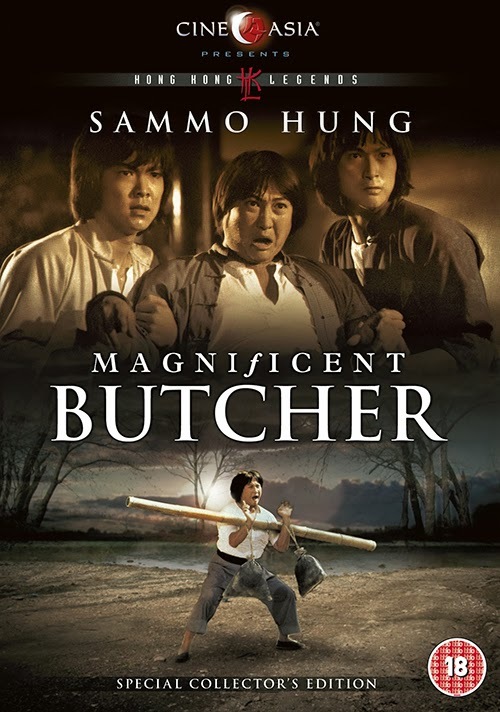 Important to realize is that Magnificent Butcher follows the style of many Seventies Kung Fu flicks where story and characterization is minimal but where the action reigns. The people in this movie don't need many reasons or motivations to start fighting. If they had guns we would call them trigger happy. Another thing to note is that this is old school Kung Fu where many different styles and moves are named or mentioned every chance they get. And the styles and moves used in this film are very impressive. Although it is something you really have to be into because compared to modern day action it can come across as a little unreal. However from all those old flicks this one still holds up pretty well as it is slightly different. There is a great contrast between the light and comedic approach and then some truly dark events. In most genres this simply would not work. But here it does. I think this is because when it is really necessary the characters can be real serious. Don't expect Shakespearean drama though. Just enough to make you invested in the action scenes and make it more intense. There is one scene in particular where Sammo Hung deviates from his goofy character and it was very nice to see that even if it was very briefly. The villain of the story played by Hark-On Fung (who you might know from his role as blind harpist number 2 in Kung Fu Hustle) is utterly despicable and evil who brings a level of darkness and deviousness into this flick that is very uncommon. Sadly this actor passed away in March 2, 2016 (age 67) because of cancer. Yuen Biao also is in this movie but not nearly enough as I would have liked too. One other thing I simply have to mention is the fact that real life father of Yuen Woo-Ping Siu-Tien Yuen got replaced by Mei Sheng Fan. 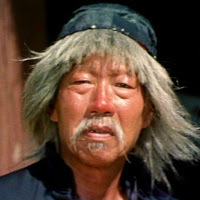 Sie-Tien Yuen who is most famous for his role as Beggar So in Jackie Chan's Drunken Master died of a heart attack. 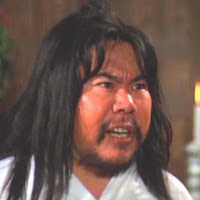 Mei Sheng Fan is the one who provides the most comic relief and it's obvious that all his fighting is done by a double. It is unintentionally hilarious since the double is young and thin as opposed to Mei Sheng Fan who is not. Overall I really enjoyed this as this Kung Fu flick is reliable and adequate. However it just does not do things differently enough to make it appeal to everyone but fans of the genre. Whether that is a bad thing or not I will leave up to you. But believe me if I say that I have seen many Kung Fu flicks and this one easily belongs to the best.